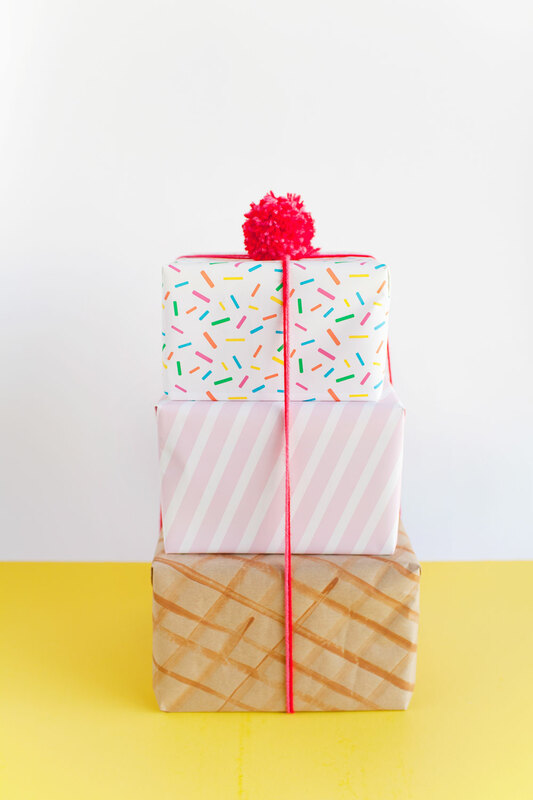 I am all about the gift wrap, it’s right up there with my love for parties and flamingos. I hoard all kinds of wrapping supplies because I want to be prepared for any type of party ha. 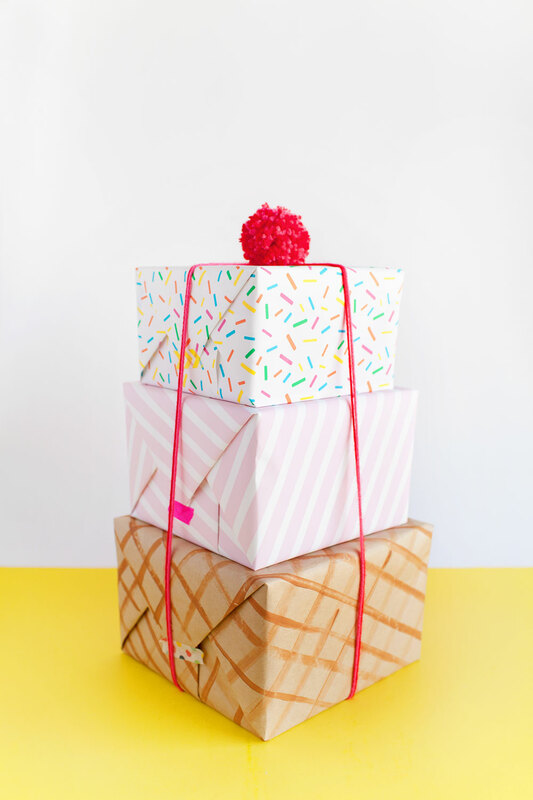 So, I am excited to announce a new series on the blog all about gift wrap … printables, gift wrap ideas, round ups, DIY’s and sources. I hope you guys like it as much as I do, because I’ll be sharing stuff once a week! 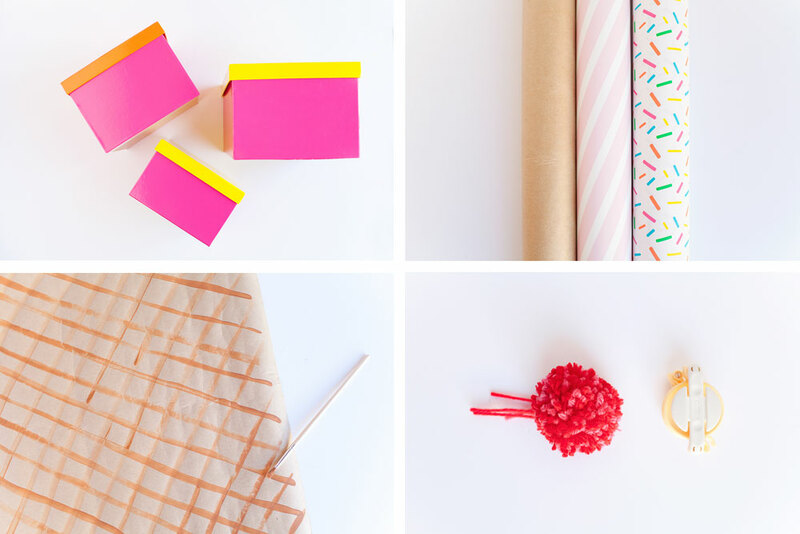 This week I am channeling my love for ice cream with this fun gift wrap idea. 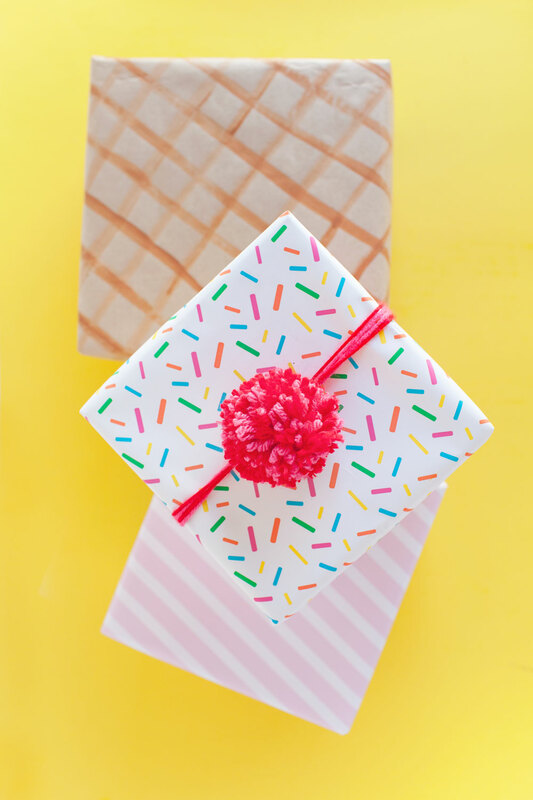 It’s easy, cute and any gift wrapped up like food is just a good idea, in my book. 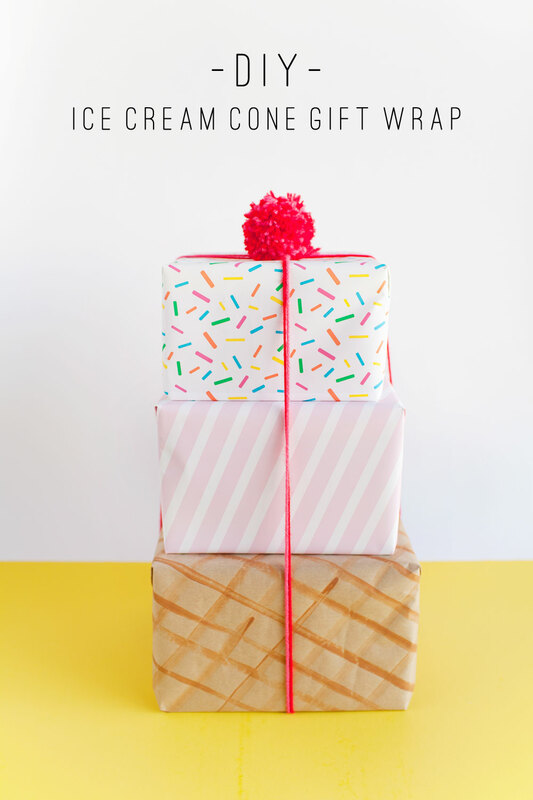 -Wrap the first two gifts in the pink and sprinkles wrapping paper. -Cut out a square of the craft paper. -Paint a waffle design with the brown paint onto the craft paper to make the cone. -Make a cherry pom pom. -Tie all the gifts together and top with a cherry. I love it, especially the pom pom, I never thought about using one for a gift topper, clever! You stop it with that waffle cone wrap! So cute!